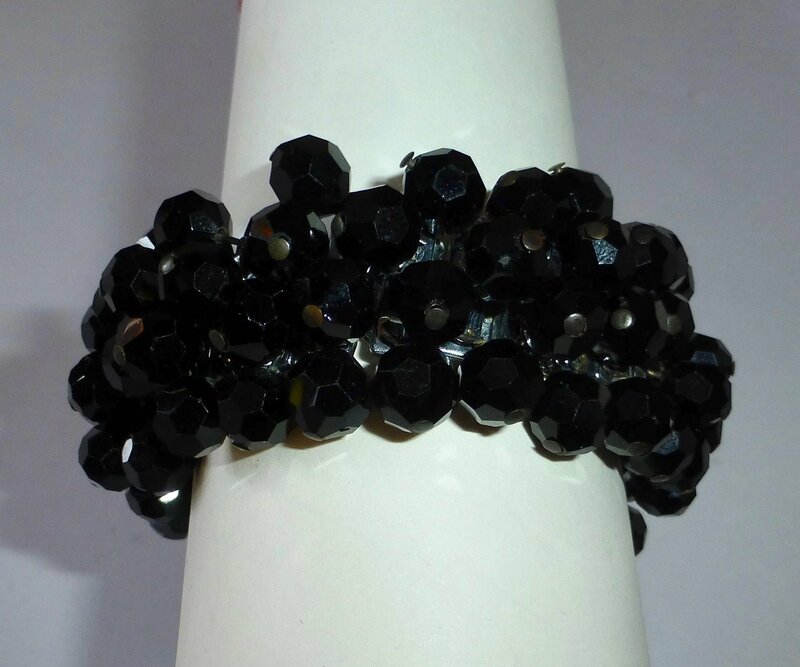 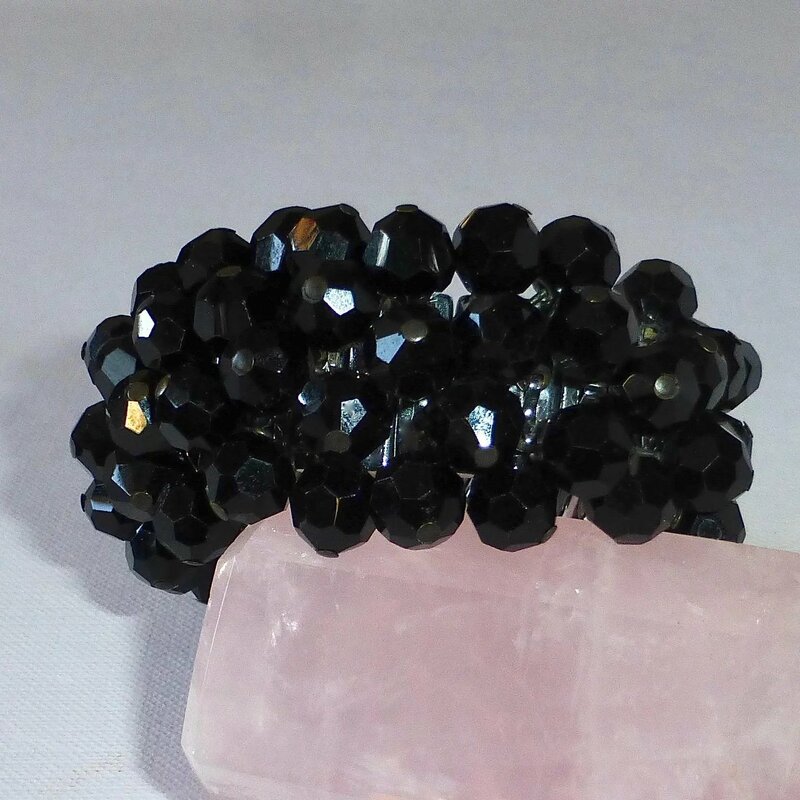 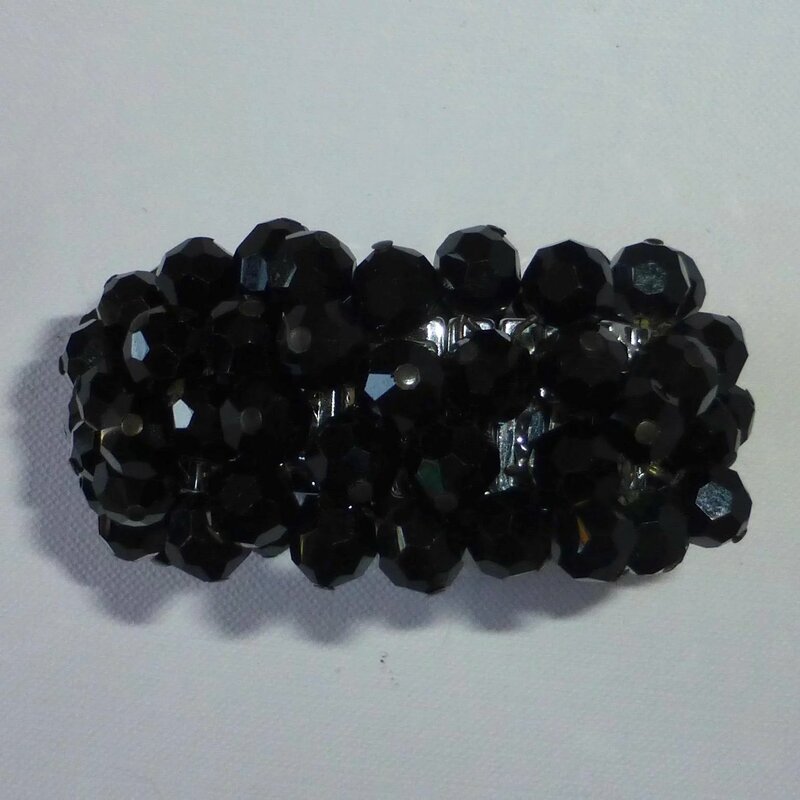 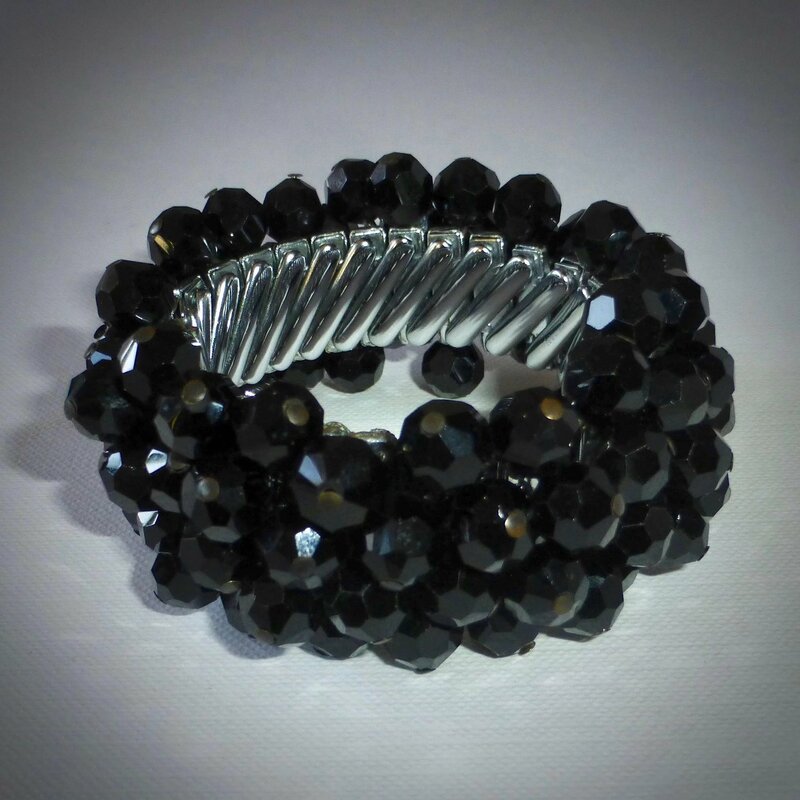 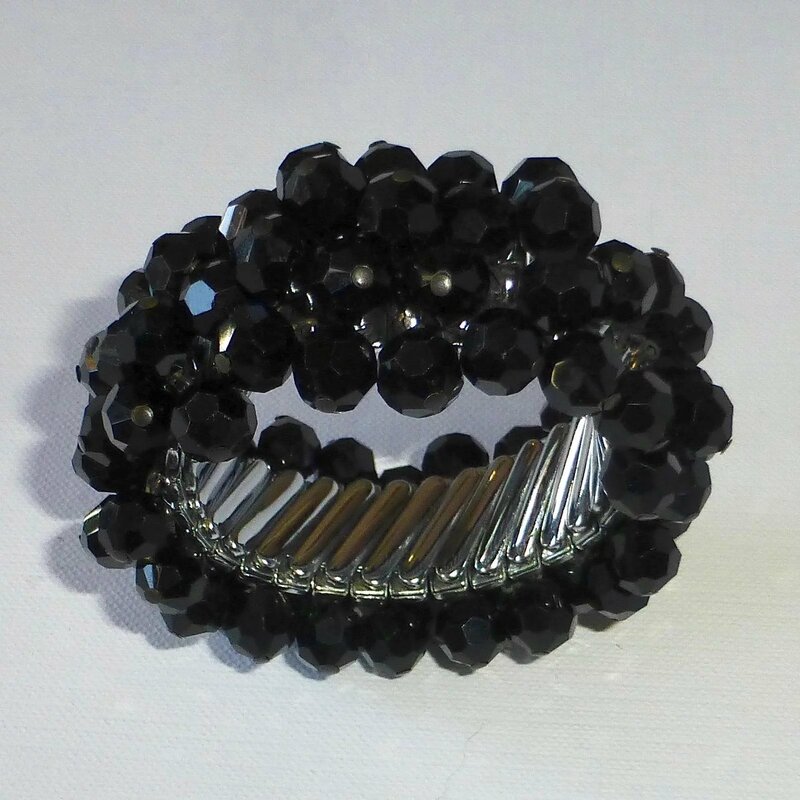 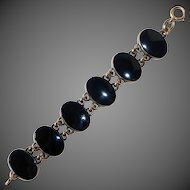 A delightful vintage faceted black glass bead expansion bracelet c1950-60s. 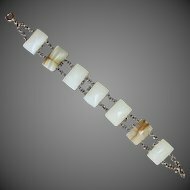 The flexible expansion band has the beads wired to it. 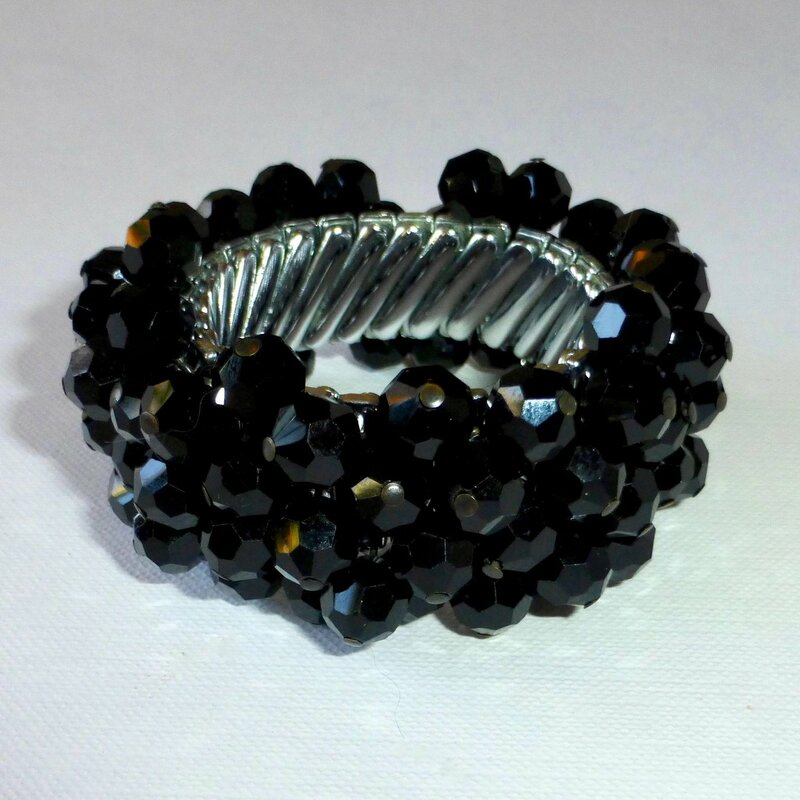 The bracelet has a subtle glitter both day and night as the light reflects off the facets. 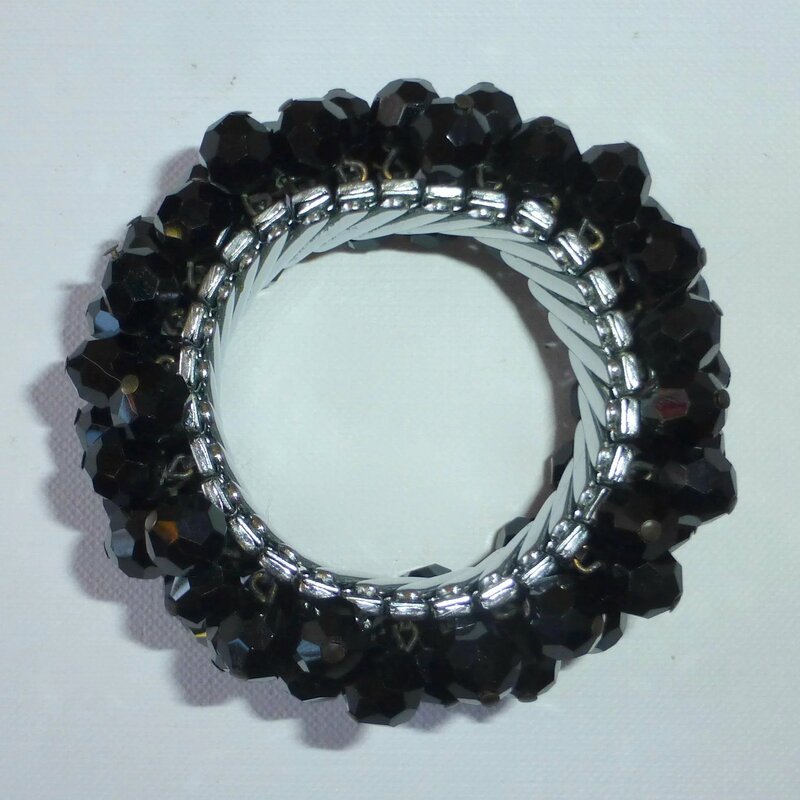 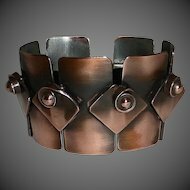 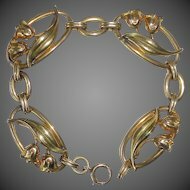 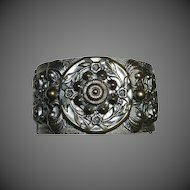 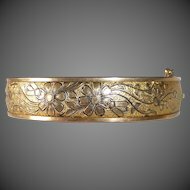 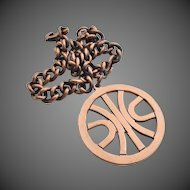 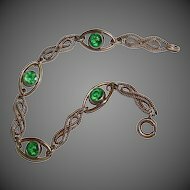 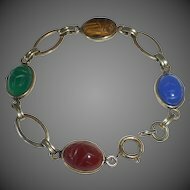 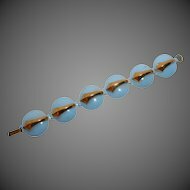 The bracelet is 1.25" wide, it stretches to a diameter of 3" so one size really does fit all. 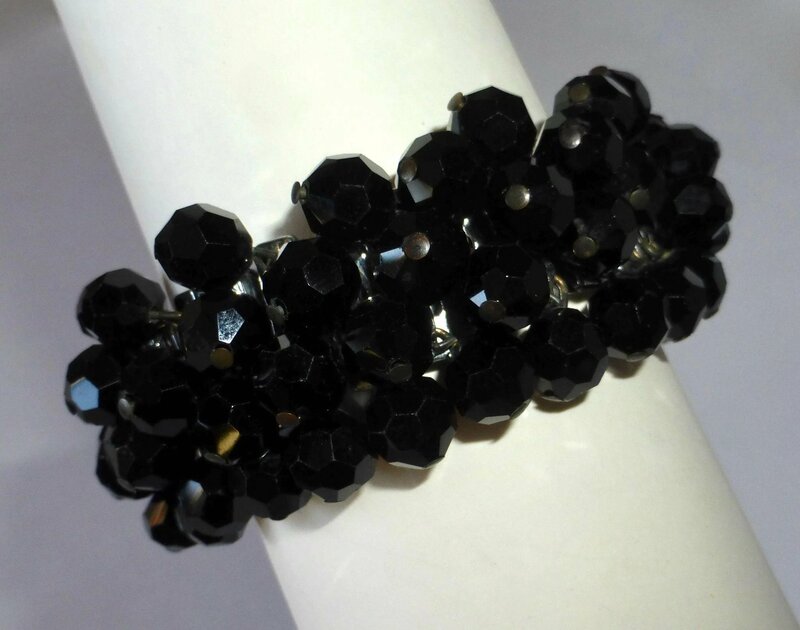 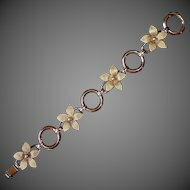 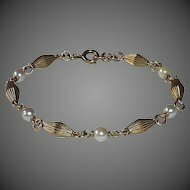 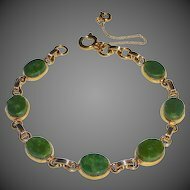 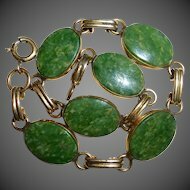 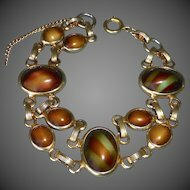 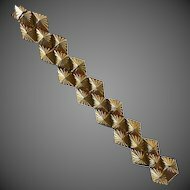 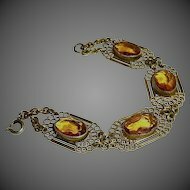 A fun retro bracelet that is very easy to wear. 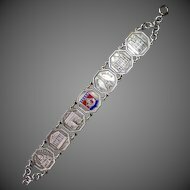 Please view the large photos for the best clarity and detail.